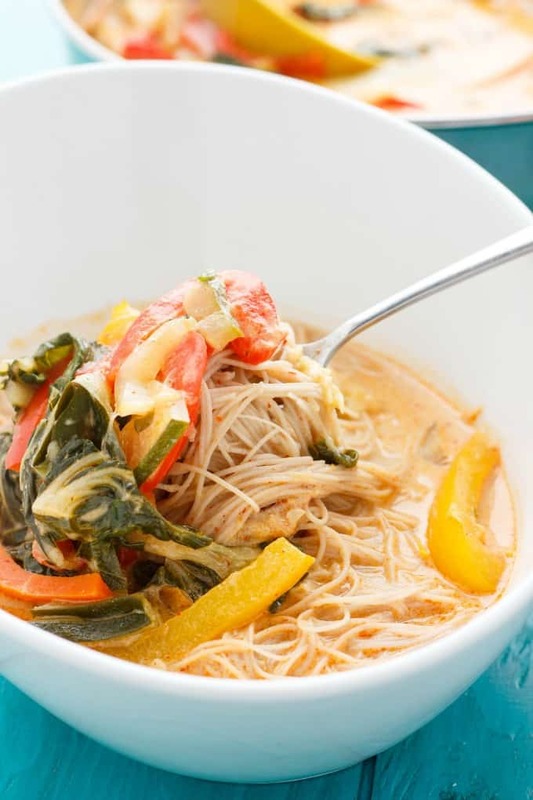 Rich but light, this coconut curry soup over vermicelli rice noodles is the perfect summer (or winter!) appetizer/meal! 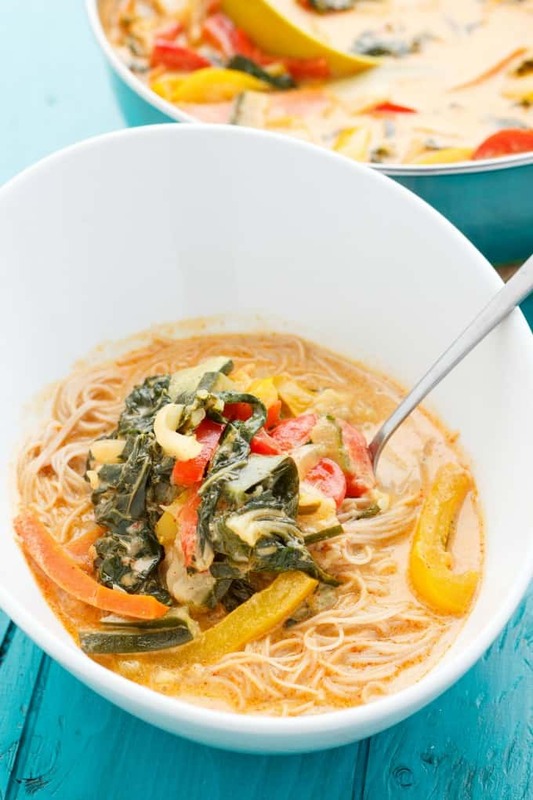 The photos and recipe for this coconut curry soup over vermicelli rice noodles has been updated as of April 14th, 2016! I had this amazing grilled cheese sandwich today. Full of roasted cherry tomatoes, basil, onions, you name it! I enjoyed it so much, I had a second one… Poor Dan didn’t even get to try a bite! But he wasn’t left out entirely. Tonight’s dinner was centered around his love for curry and my need to grow accustom to the taste. 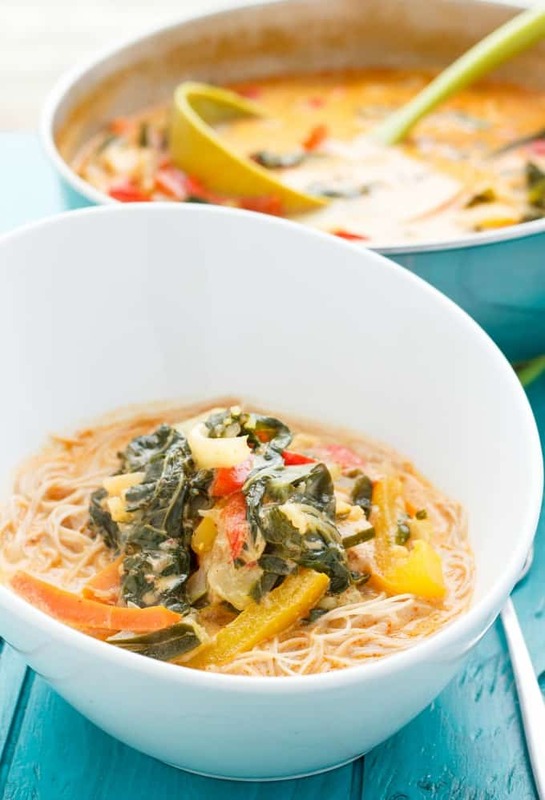 This coconut curry soup over vermicelli rice noodles is full of bold flavours and is completely vegetarian/vegan. 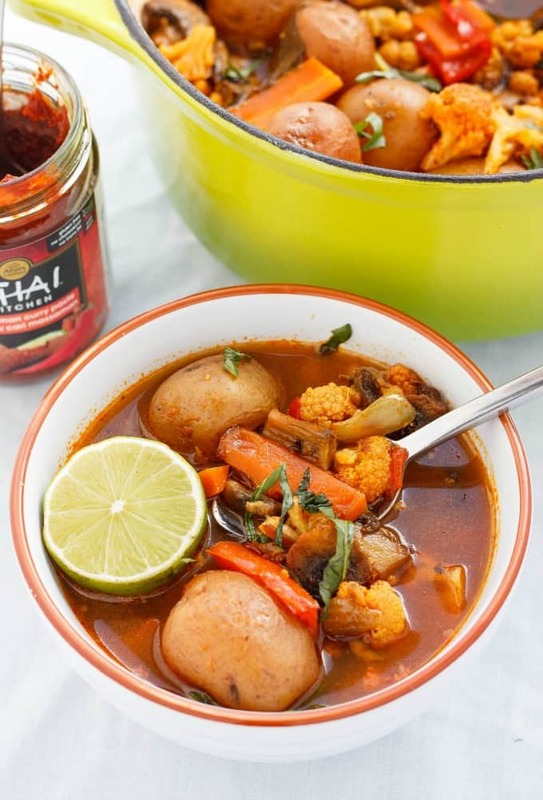 The use of coconut milk seems to mask the strong curry taste, and yet, at the same time, creates this beautiful, rich broth. Even myself, who is not the biggest curry fan, enjoyed this dish. I did not eat much, but I must admit, curry in the right situation can be very tasty. In my case, it is an acquired taste. UPDATE: Since remaking this dish using massaman curry paste, I am in LOVE! So delicious and tasty, even the non-curry lover will enjoy this soup! I personally wish I added snow or snap peas! A light and refreshing soup that is completed in less than 30 minutes, the addition of snap or snow peas would be perfect! Heat the 2 tbsp. of coconut oil in a large saucepan over medium. When melted, add in the curry paste and stir until combined, allowing to cook for about 1-2 minutes. Pour in coconut milk, vegetable broth, and basil leaves. Bring to a boil. Add in the carrots and reduce to a simmer. Cook for 4 minutes. While the carrots are cooking, place your noodles into a bowl (preferably with a lid) and pour boiling water over them. Cover, and allow the noodles to cook for a couple of minutes, or until you can separate the noodles with your fingers. Drain, rinse a couple of times in cold water. and set aside. Pour in the soy sauce, along with the zucchini, peppers, and bok choy stalks. Cook for about 5 minutes or until you reach your desired consistency (you don't want mushy vegetables.) Add in the bok choy greens and cook for another minute. Place noodles into bowls. 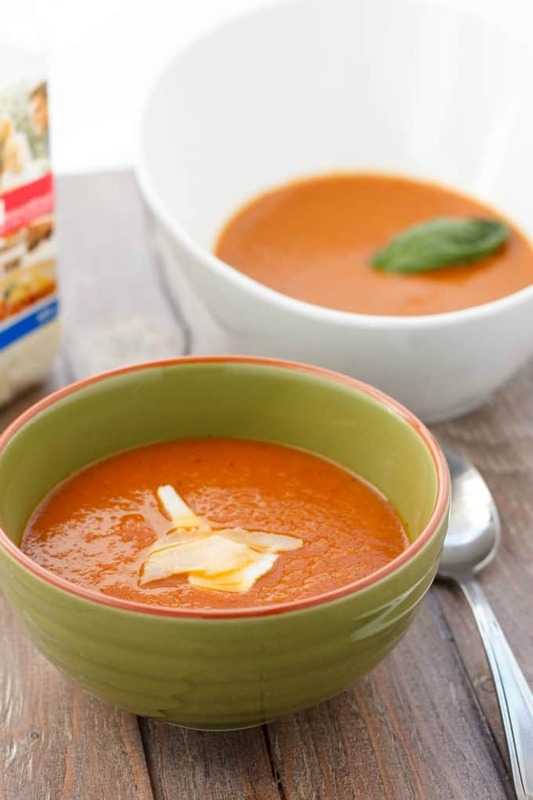 Pour the soup over top and enjoy this rich and flavourful dish! As I am typing this post, I feel the urge to heat myself up a bowl of leftovers. I guess that is a good sign! Feel free to substitute the noodles with another type, or even some rice. These noodles were a random pick up at the grocery store, but they paired nicely with the dish. I really wish I had used a red pepper instead of a green one, not because of flavours, but because it would have added colour to the soup. Perhaps next time! UPDATE: I found whole grain vermicelli rice noodles and found it paired perfectly here! I also upped the veggie game so this soup is better than ever!